Continuing on with part 6 of our 8 part blog series dedicated to showing the differences between Autodesk Inventor Professional 2011 and SolidWorks Premium 2011 for digital prototyping workflows, we examine the ability to import MCAD models from CATIA and to perform direct edits on the imported geometry. Finally we take a drawing off the final model. As in the other blogs in this series, this blog includes videos of both systems being used to perform the test. To examine interoperability, we tested the capabilities of the software by importing a CATIA part, modifying the imported part, and creating and validating the accuracy of a DWG drawing of the part for communication with vendors. Autodesk provided a video of Inventor accomplishing this test, a DWG drawing of the bell housing, the bell housing in CATIA format and the bell housing in IGES format. Autodesk Inventor is able to import and export most common CAD formats as well as neutral formats. 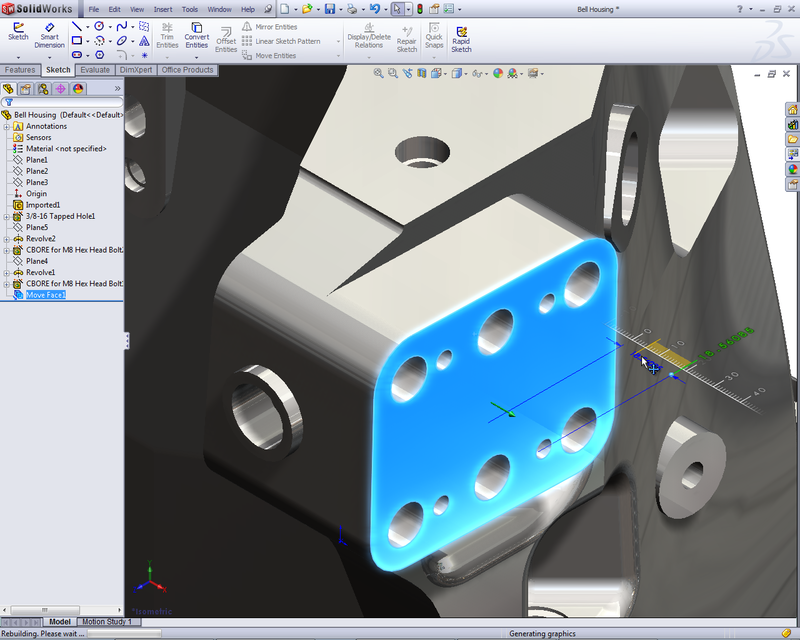 Working with imported data uses the direct modeling tools found in Inventor Fusion Technology Preview to make changes. Creating a fully associative drawing in DWG format requires no additional effort since Inventor uses native DWG as the file type for drawings created from the 3D model. SolidWorks can also import and export from a variety of CAD formats but has no support for CATIA files, which must be translated into a neutral file format introducing opportunity for errors. It also has tools for modifying geometry with several functions like feature recognition and move face. Lastly, DWG drawings are not associative to the 3D model and may require a significant amount of time and effort to clean up translation errors prior to sending them to customers and vendors. In this test, the SolidWorks DWG associativity did not work, however, SolidWorks supported this capability in past releases. It did not work on TechniCom’s version of SW2011; it may work in other installations. Directly reading the other systems data directly – in this case CATIA – rather than performing a multi-step and error prone process of intermediate data conversion. Easily share design data with customers, vendors, suppliers, and other departments using different CAD systems. Reading and writing native DWG files for production, and publishing designs in formats that customers can use in their own applications. The desired result of this test was to import a CATIA V5 model into the software. Autodesk Inventor read the CATIA data directly and was able to open the model with no issue. SolidWorks was unable to read the model and requires a third party add-on at additional cost to import CATIA V5 models. To perform the later tests, an IGES format file was made available and was imported successfully. This is a major issue for automotive and aerospace suppliers and OEMs since there are many companies involved, many of which require data in native CATIA format! Oddly enough SolidWorks is owned by the same company as CATIA and yet cannot read the data directly. This test examined the ability of each software system to make small modifications to the “dumb” solid created from the imported file. Inventor made the necessary modifications using the free Inventor Fusion Technology Preview labs application. The changes were made successfully and then Change Manager was used to update the dumb solid in Inventor. 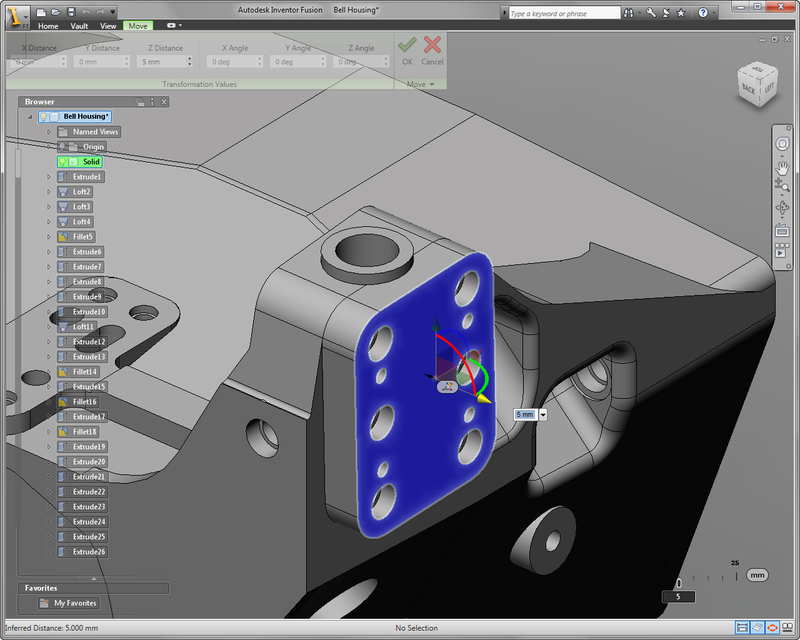 SolidWorks had no problem with the direct modification of the imported part. Feature recognition capabilities were used to modify the plates and the holes as required. In this case it was easier than Inventor, which required back and forth interaction with Inventor Fusion. This test involved creating a drawing in DWG format, opening the DWG in a 2D viewer, and making a change to the 3D model and updating the DWG. 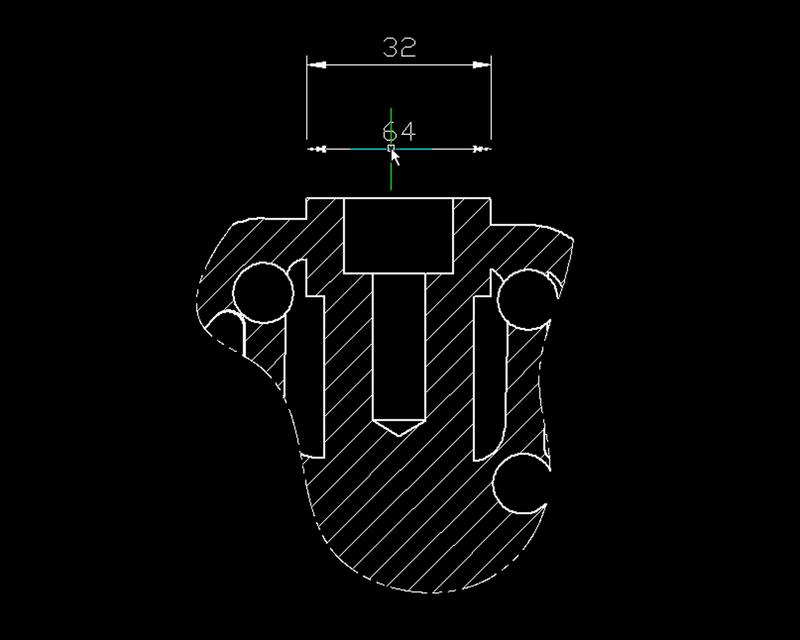 Note the incorrectly scaled dimension in the SolidWorks created drawing. 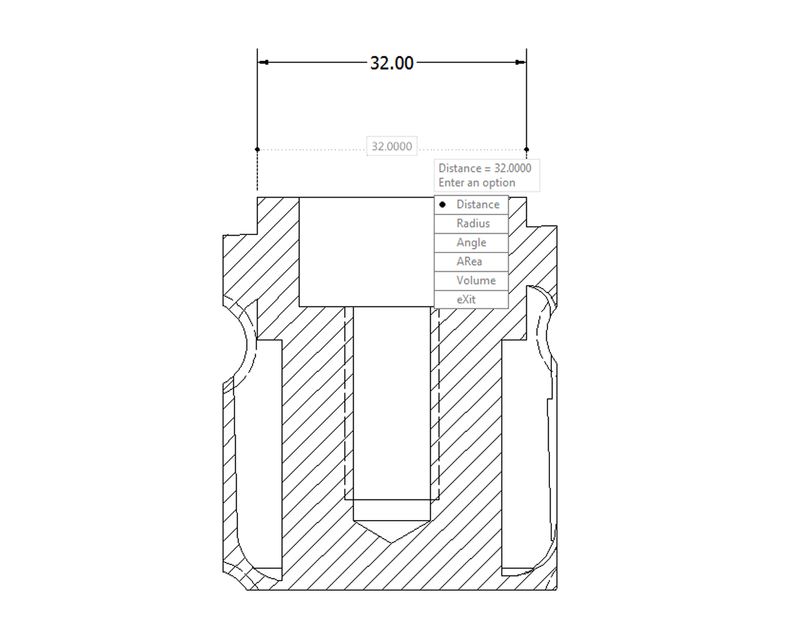 Inventor created the drawing in DWG format so no translation was required. The file was opened in AutoCAD and presented exactly as it was in Inventor. After making the change to the 3D model, the DWG version of the drawing updated automatically. SolidWorks could create DWG files for export to vendors. It lacked the ability to be fully associative with the SolidWorks 3D model. Adding dimensions or taking measurements in the scaled view in the resulting DWG drawing were not scaled correctly with the view. 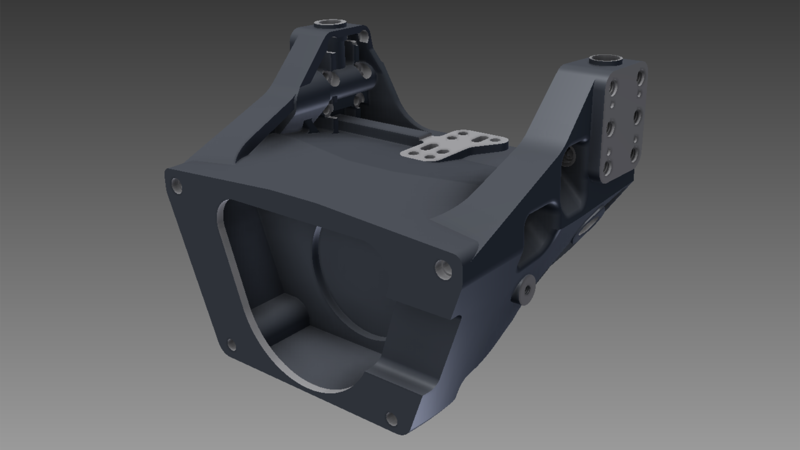 In this case SolidWorks added a dimension that showed as 64mm instead of the correct 32mm. The next blog in this series will examine design automation and creating drawings from the resulting design. Stay tuned or sign up to be notified of my blog updates.